Cradle cap is a problem that many babies have to deal with, and when it comes to baby information the knowledge of how to get rid of it is something parents want to know. One specific question that parents are always asking me is what is the best cradle cap shampoo to use? ✅This specific cradle cap shampoo is the most popular with our readers. 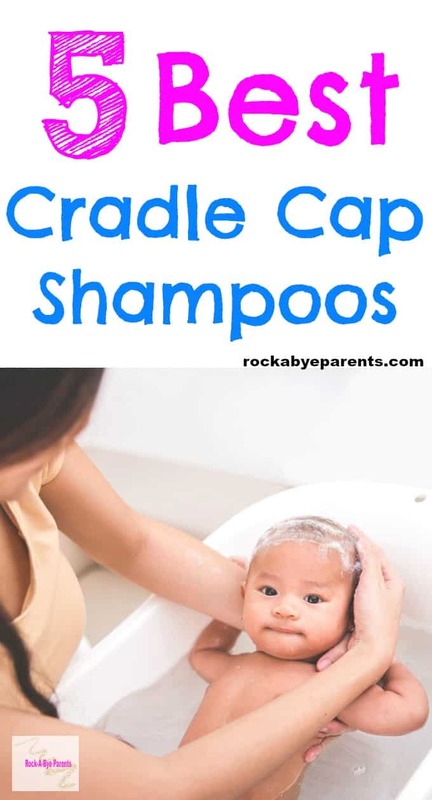 This has actually been considered the best cradle cap shampoo by readers Rock-A-Bye Parents for the past several years. It is also is one the lowest priced cradle cap shampoo. Cradle cap was a big problem for Nick. He not only had a bad case of it, but even if we got it to clear up it kept coming back. In the months that he was battling it I felt like I became a total expert on how to get rid of cradle cap. I read every technique out there and tried so many products. Much of the information that I had came from the medical field. Most doctors said to use baby oil. In worse cases they suggested using dandruff shampoo. Neither of those techniques helped Nick, and I quickly saw why tear free baby bath products are one of the greatest things ever created! When I was about to pull my own hair out in frustration a friend in one of my mom’s group on Facebook mentioned using Gentle Naturals Cradle Cap Shampoo. She said it had been a miracle product for her little one. I was willing to try anything, and lucky for me the Gentle Naturals shampoo turned out to be a miracle product for Nick as well. For years that has been my recommendation as the best cradle cap shampoo out there, but I recently found out that they stopped selling it! You can still find Gentle Naturals Cradle Cap Shampoo listed on Amazon, but the price is pretty steep. I truly feel this stuff is worth its weight in gold, but even I wouldn’t spend a fortune on it before trying other products. Since I don’t feel that I can fully recommend my favorite cradle cap shampoo anymore I decided I needed to find out what the current best options are. Since I have a 7 year old I no longer have a baby with cradle cap to test these products on. Still, I have gone through Amazon’s site and read through the reviews to decide whether each shampoo that Amazon has listed sounds like it would be useful for cradle cap or not. Here are the best cradle cap shampoo choices according to Amazon. I’ve listed these in order by their Amazon rating. All of these are also favorites of Rock-A-Bye Parents readers! The only exception is Dr. Eddie’s Cappy Medicated Shampoo as it is a very new option. Puracy Natural Baby Shampoo & Baby Wash is sulfate free. It is promoted as tear free, but some people feel otherwise. 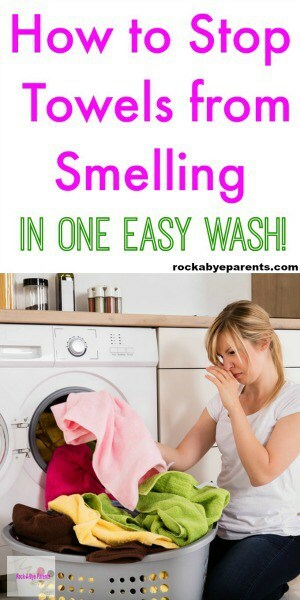 It is noted that it can cause a slight burning sensation in the eyes if it gets in because it is cleaning out eye mucus. I almost didn’t include this one due to that issue, but it seems that most don’t have a problem with it. It was created by a team of doctors and contains no allergens, irritants, or harsh chemicals. This shampoo is not promoted specifically as a cradle cap shampoo, but many people feel it was very useful in clearing cradle cap up. In fact while reading the reviews I found many that said this shampoo got rid of their child’s cradle cap in just a wash or two. Baby Shampoo is a natural alternative to traditional baby shampoos. It is also made with gentle ingredients that are tear free. It is said to deliver all the vitamins, minerals, and nutrients needed for a baby’s skin and scalp to fully heal. This shampoo has a lot of really good reviews. Many people state that they were skeptic of how well it would work, but tried it due to it’s natural ingredients. Many also state that the shampoo worked very quickly to help clear their child’s cradle cap in just one wash. There are a few reviews that this didn’t work, but there actually aren’t very many of them. Dr. Eddie’s Happy Cappy Medicated Shampoo for Children is the first OTC dandruff shampoo specifically designed for children. It is described as a pediatrician’s solution to fight flaking, redness, itching, scaling, and irritation on the scalp and skin. It is said to be safe for kids of all ages. Due to certain products in the shampoo it cannot be considered tear free, but it is much safer for the eyes than a traditional adult dandruff shampoo. This shampoo is a newer product, and people are raving about it. In fact the star ranking increased during the time I was researching this post and I had to move it up. At last look it only had two one star ratings. One person did say she thought it made her daughter’s cradle cap worse. The other one star review was because the bottle had a broken pump. The fact that it’s not tear free does bother me a bit, but I highly suggest looking into this shampoo! Bella B Bee Gone Cradle Cap Baby Shampoo has been a favorite of Rock-A-Bye Parents readers for several years. It is made from natural and organic ingredients and it’s total purpose is to help soothe your baby’s itchy and flaky scalp. The shampoo doesn’t state that it is tear free, but many comments mention that they have had no issues with that. Reading through the Amazon comments it’s easy to see why so many people use this. It sounds like a miracle product. Review after review is full of positive opinions and notes on how fast it worked. In fact the only bad review that popped up for me at the start was one saying their bottle arrived in bad shape. I can honestly say that if I was dealing with cradle cap again this would be the product I tried. So which cradle cap shampoo is the best? 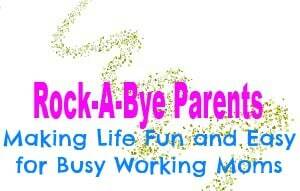 This one is very popular with readers of Rock-A-Bye Parents and it is also the ‘Amazon Choice’ 2018 winner! Mustela Foam Shampoo for Newborns is especially formulated to cleanse your babies hair while treating and even preventing cradle cap. It is a tear free formula and 99% of it is plant based. 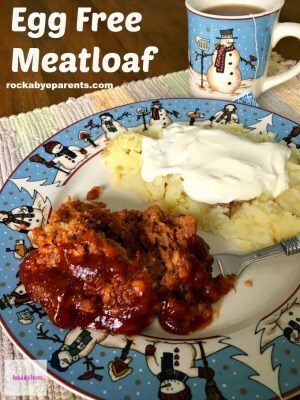 Most of the comments are very positive and say that this product works quite well. There are some comments that it didn’t work, but most people rave about it. One person said that her son had a severe case of cradle cap and this was what finally worked. Another mom noted that her doctor gave her a sample of this to try. I would say if doctors are passing it out then it must be pretty good. 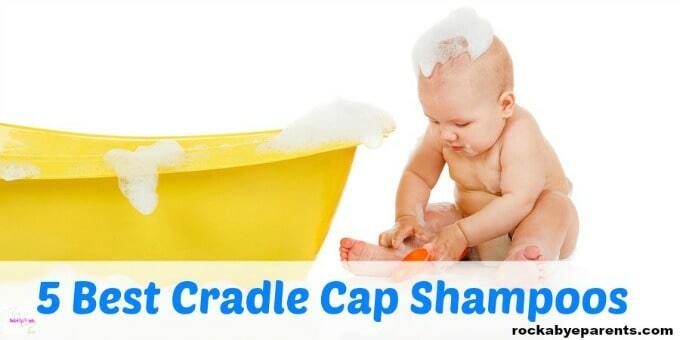 Anyone who’s little one has had cradle cap knows that it can be a tricky thing to get rid of. 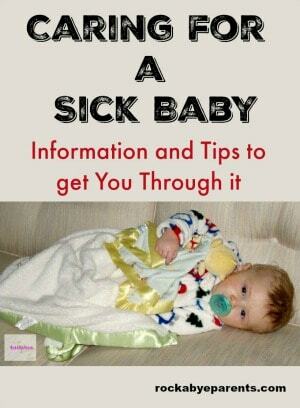 While there are a lot of different removal techniques out there no one set method or product works for every baby. I hope that with this list you are able to find the best cradle cap shampoo for your little one.